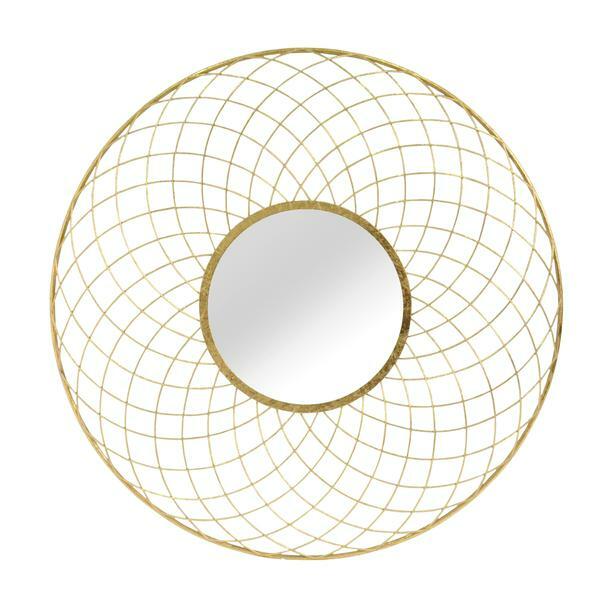 Sonora feature interconnecting circular rings that give the mirror a rolling symatry. Use alone or in a group, makes the perfect focal point for any design. Made from metal with a hand painted gold finish. Customizable for larger orders.